NEARLY NEW and completely under builderâs warranty. 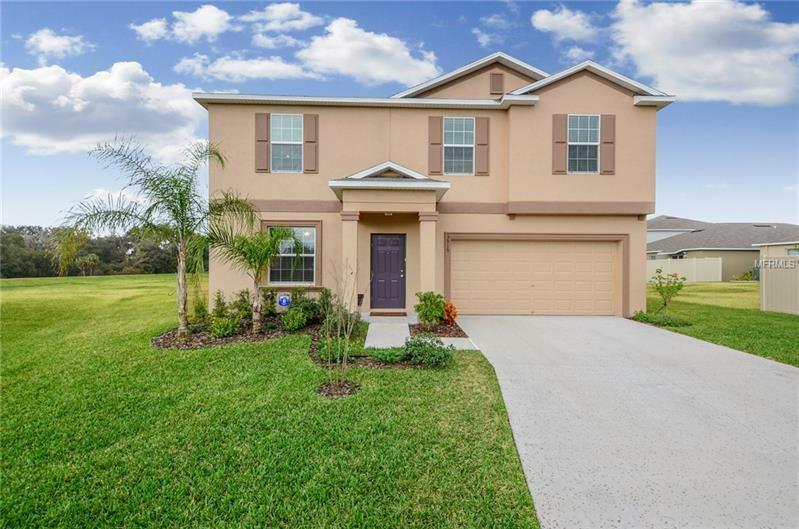 Gorgeous 4 bedrooms and 3 bath The Providence model offers an amazing over sized cul de sac lot with a backyard conservation view of woods and open land. Enter the tiled foyer with coat closet that opens to a versatile flex room perfect for office or an additional bedroom. Gourmet island kitchen boast: raised panel 36-inch cabinetry with hardware, recess lighting, completely warrantied appliance package, double stainless sinks, closet pantry and a wonderful eat in area for family gatherings. Spacious family room offers sliders that expand the living space to an open patio. Just at the top of the stairs you are welcomed with a loft great for a teenager retreat. The luxurious master suite showcases: Huge walk-in shower, dual his and her vanities, linen closet and a âyou wonât believe âsize closet. The roomy utility room is conveniently located upstairs. This home is a real beauty!!! !